No Price on Moral Conviction. 2019. Embroidery on indigo-dyed fabrics and appliqué. 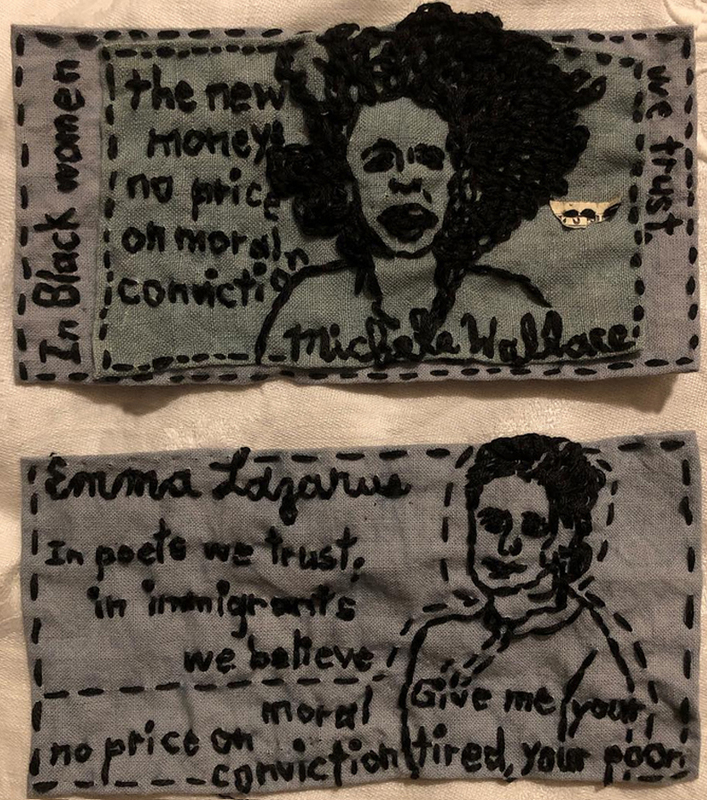 Each “dollar” is ~2.5″x6.5″ Top: “In Black women we trust.” Michele Wallace Bottom: “In poets we trust, immigrants we believe.” Emma Lazarus.